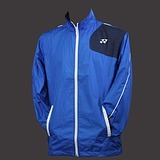 Yonex M7464EX Tracksuit Jacket is a court designed top that allows the full range of movement needed on court. Off court the top keeps you warm between games. Ventilation panels prevent overheating during play and gently help to lower temp while off court. Do you own the Yonex Tracksuit Jacket M7464EX?